It is the first day of school in my home town. The excitement is the same today as yesterday. 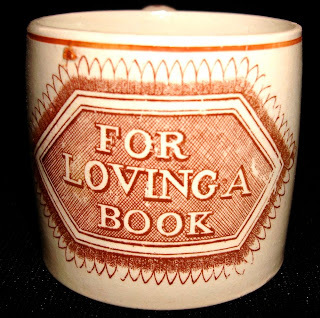 I have always loved transferware patterns that celebrate school and books. Here are a few. 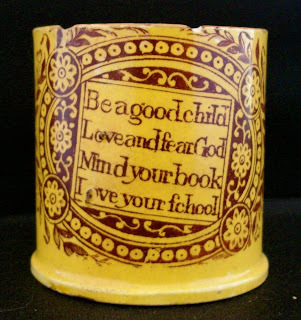 Child's 2.75 inch mug, ca. 1820. 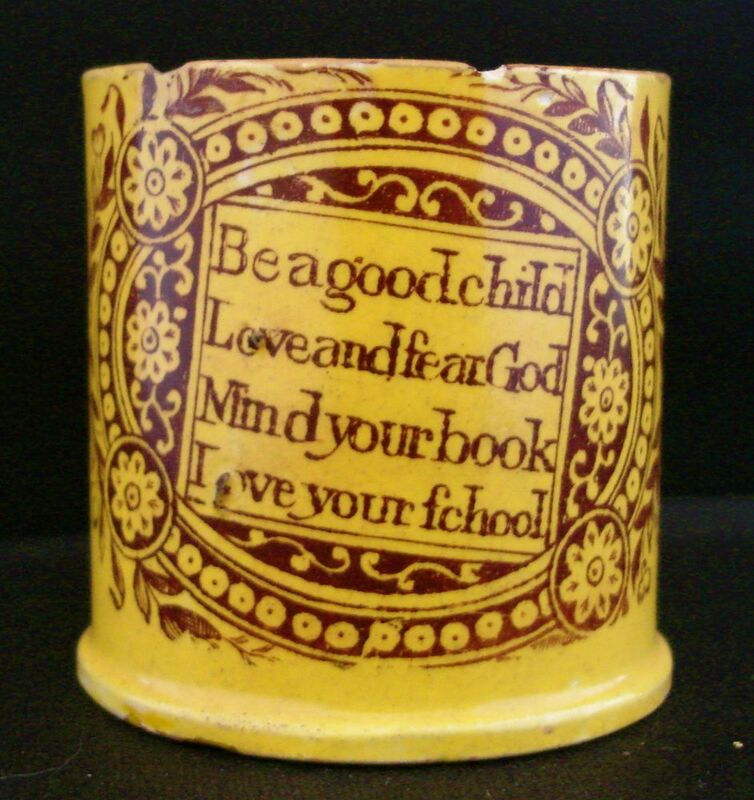 It says everything you would expect of a 19th century child; "Be a good child/Love and fear God/Mind your book/Love your school." 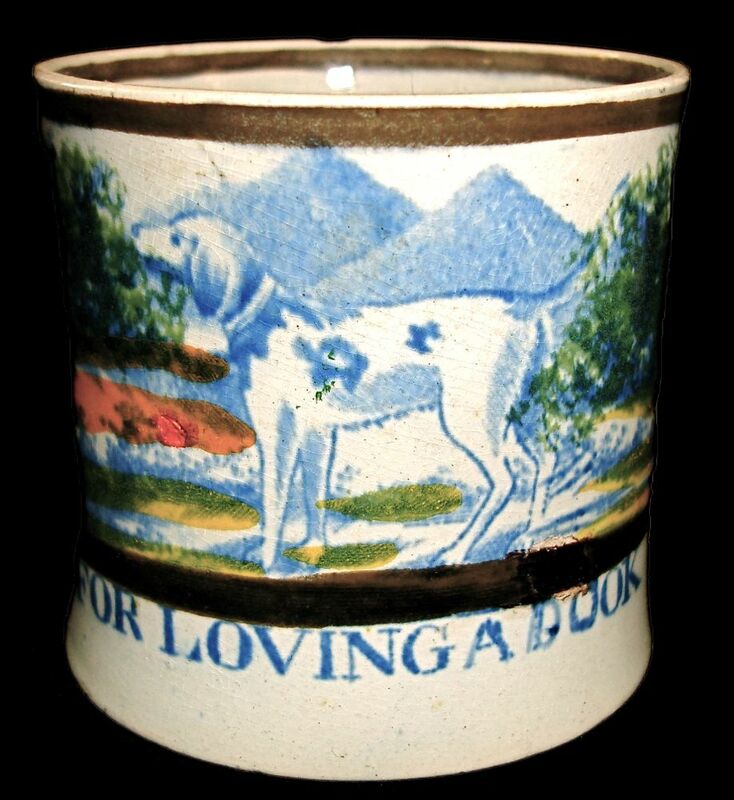 Child's 1.94 inch mug, ca. 1830. 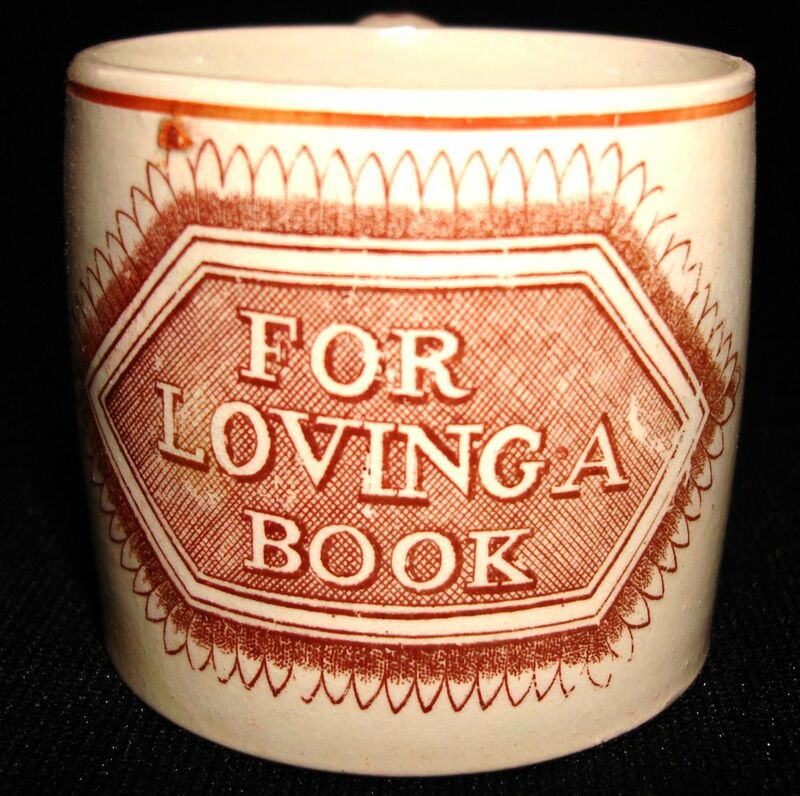 What a charming reward for a child who loves to read! Child's 2.38 inch mug, ca. 1825. 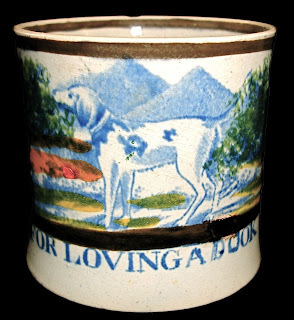 Here is a reward for loving to read plus a dog pattern!